If you find the continuity of the films confusing & a bit of a mess then this one won’t do anything to help make it any clearer. Telling a story that has been told numerous times in the early films but changing parts to fit the continuity of some of the later films is frustrating & demeaning to some of the better movies in the series. Retro Puppet Master opens with our old friend Andre Toulon hiding out in an inn on the Swiss border. 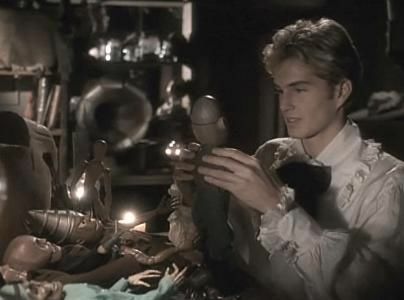 While talking to his puppets, Blade finds the wooden head of a Cyclops puppet which prompts Toulon to recount the tale of how he got the power to animate his puppets. 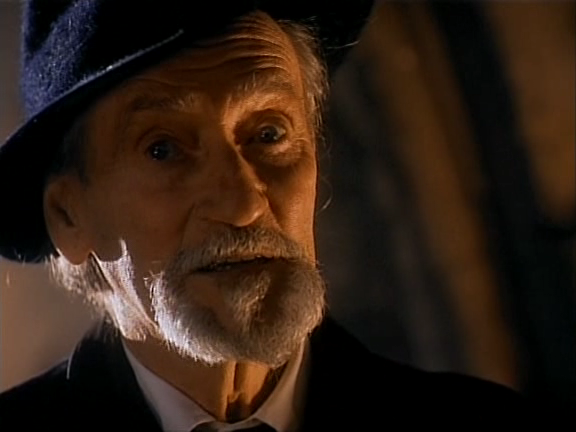 The year is 1902 in Cairo, Egypt & a sorcerer called Afzel has stolen the secret of life from the demon, Sutekh (remember this guy?). After fighting off several of Sutekh’s servants he heads for Paris. In Paris a young Andre Toulon runs a puppet show that performs Dante’s Divine Comedy. He is dedicated & meticulous but kind, something recognised by audience member, Elsa (who will eventually become his wife). She is considered ‘high society’ but tires of being controlled by her father so has escaped for the night to see the performance. After the show Elsa interrupts thugs attacking the recently arrived, Afzel. She calls for help & Andre assists her in bringing him inside the theatre. Later, Afzel awakens & tells Toulon about his secret, animating several of his puppets to prove his point. He shows Toulon how to transfer the soul of a person into a puppet passing the knowledge onto him. 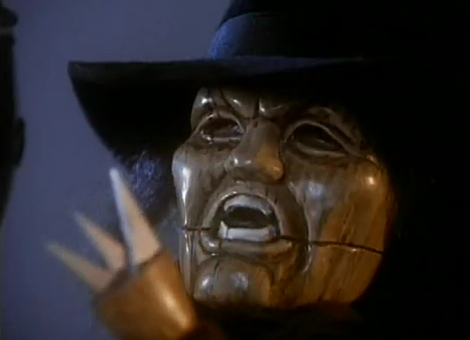 Retro Puppet Master is easily one of the most boring films in the series so far. Any interest in seeing early versions of the famous puppets is lost as the story focuses heavily on Andre & his growing relationship with Elsa. Both actors are convincing in their roles but not given enough time. Elsa seemingly falls in love with Andre within a matter of minutes & it feels like large parts of the film are just missing. The villains of this movie (Sutekh only appears as a disembodied voice) are so poorly done. Their characters are supposed to be re-animated dead so their dead-pan actions & responses make sense but they offer such little threat throughout they are hard to take seriously. Thankfully this seems to be the last time the franchise is going to attempt to fill in the blanks. I’ve had my fill of Andre Toulon’s story, there is surely no more to tell.